The term ijtihad is often invoked in public discourse to mean not only the disciplined method by which jurists arrive at answers to matters of law, but also a general ethos of innovative and independent thought. When deployed in this way, there is often a cultural critique at play that casts doubt on the ability of Islam to “keep up with the times.” This presentation examines how ijtihad was understood and argued for by Hanafi jurists in the late nineteenth and early twentieth centuries, paying particular attention to the ways in which these jurists’ conceptualization of the term was conditioned by modernist critiques of the period. 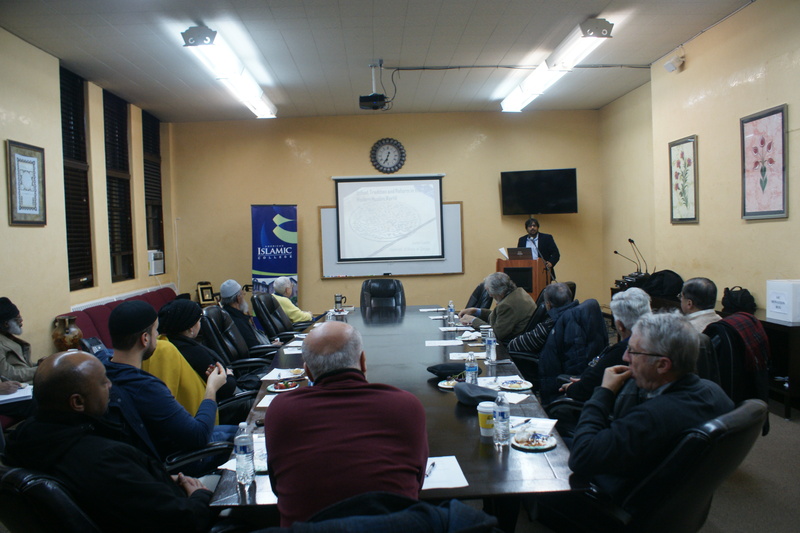 Dr. Junaid Quadri teaches courses in Middle Eastern civilization, Islamic intellectual history, and colonialism and modernity in the Muslim world. In addition to his appointment in History, he participates in the program in Religious Studies and serves as co-director of the Jewish-Muslim Initiative at UIC. Quadri holds a PhD from the Institute of Islamic Studies at McGill University. His research attempts to better understand developments in Islamic law in the modern period. In particular, he studies the encounter between Islamic law and colonial power, especially with reference to contemporary discourses surrounding the fundamental categories of reform, tradition, authority, science, and religion/secularism. Though his previous work has focused primarily on Egypt, he is currently investigating the transnational networks that defined Islamic learning for centuries, and served to both enable and constrain the conceptual moves undertaken by Islamic jurists in this new context. In a separate but related project, he examines the mechanisms through which Islamic legal texts sought to carve out a space for the cultivation of ethical virtues through techniques of habituation and discipline. Quadri has previously been the recipient of fellowships from the American Center for Oriental Research in Amman, Jordan; the American Research Center in Egypt; and the Social Sciences and Humanities Research Council. In the 2014-2015 academic year, he was Visiting Assistant Professor at the Qatar Faculty of Islamic Studies in Doha.